With the 2017 NFL Draft concluding on Sunday, it’s time for overreaction, analysis and draft grades from the experts around the world wide web. 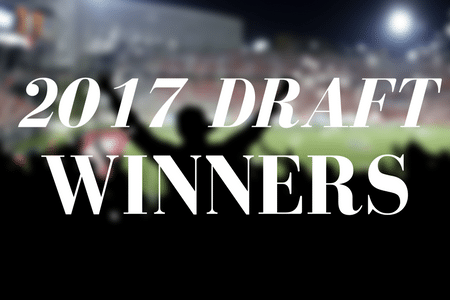 We take a look at what our NFL Mock Draft expert picks had to say about what teams came away looking like winners. For a full recap of winners and losers from Dane Brugler of CBS Sports, click here. For a full recap of winners and losers from Kristopher Knox of Bleacher Report, click here. For a full recap of winners and losers from Dan Kadar of SB Nation, click here. For a full recap of winners and losers from Eric Single of Sports Illustrated, click here.